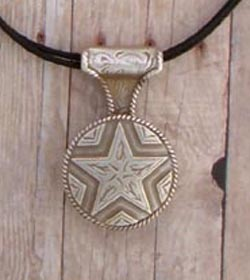 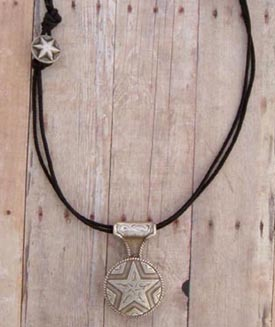 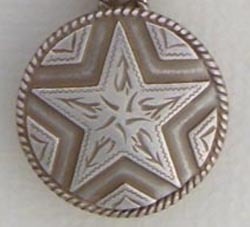 Western Jewelry Necklace Concho Style - Full Star. 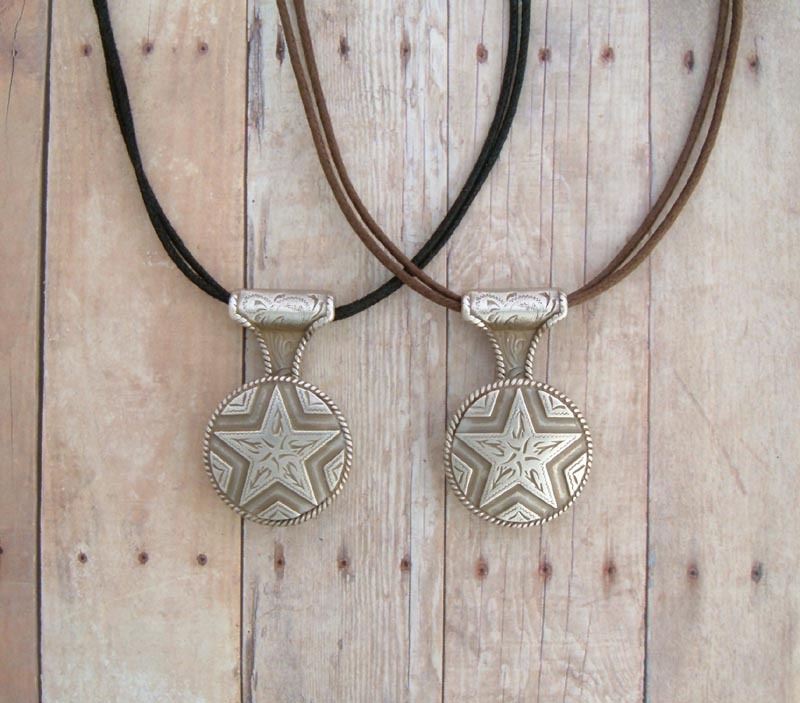 These beautiful star concho's are suspended from comfortable 2mm cord with star button closures. 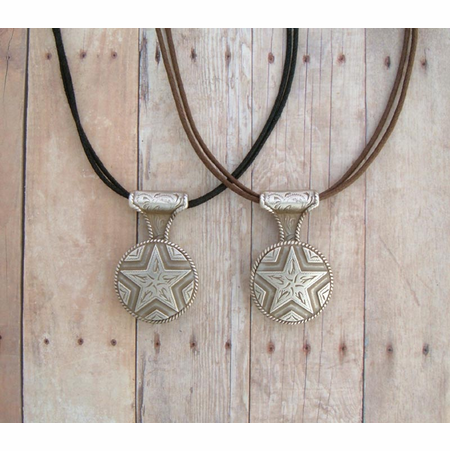 The cords are soft, sturdy, last a very long time and easy to put on, making this your choice for an every day, any day necklace. 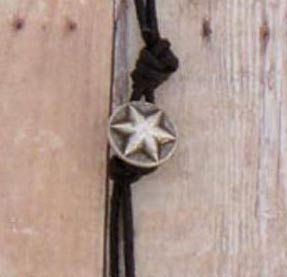 In your choice of either black or brown cord.